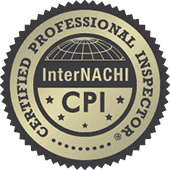 In order to become certified, Douglas Kloeker was required to take inspection courses related to the interior and exterior of the home, including the common and major areas of concern for home buyers, such as the foundation, heating and cooling, roof, plumbing, and electrical systems. We are dedicated to providing excellent service to all our clients. ​We have been homebuilding, contracting, estimating and inspecting since 1996. We are Certified in the states of Florida, Indiana and Tennessee. ​A home is the largest investment a family can make; we take pride in each and every corner of the home we inspect from the crawlspace to the roof for our clients.